Weekday Rambler: It's Like Christmas Everyday! 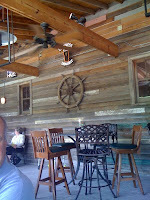 Yesterday we decided to go to town and have some lunch at a favorite spot, Parrain's, on Perkins Road. There was nothing special about yesterday except that it was Earth Day and folks were celebrating around the world and finding a way to make the earth greener. I had spent much of the morning reading some online news sites and vacillating between pessimism and optimism for the fate of our planet. I have spent a lot of time recently recycling my stuff as we moved into new surroundings, so I feel that I have participated in earth friendly activities. I have found new uses for old things and refurbished some old items to make them more efficient. We have discussed buying a greener refrigerator, but what can one do with an old one that doesn't involve putting a perfectly good appliance in the dump? I am sure there are some ways to recycle old refrigerators and maybe when I have an extra one thousand dollars to buy a new one, I will investigate those recycling methods. For now, it makes sense to save the earth by not acquiring more stuff for which to be responsible. I have also taken to bringing my own sacks with me when shopping. I have just about trained the checkers at the grocery to use them instead of using so many plastic bags. It's also frugal in these times to use what you have. It seemed fitting to celebrate our own little piece of the earth, by repotting some plants that amazingly survived our recent move and the extremely cold winter. My husband has the greener thumb between us, so I was "helping" by sitting on the swing and "supervising" him. He is too nice to complain when that happens. 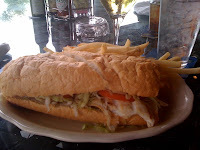 At lunch time we decided to rambler over to Parrain's to get some lunch. The weather was beautiful so we chose to sit on the patio. We had brought our dog, Dexter, along and we were able to see him in the truck from the outdoor seating area. Parrain's is right under an exit of I-10, so there was some shade for him. He seems to prefer patiently waiting in the car instead of waiting at home by himself when we go somewhere. We figured this out when we noticed the gifts he leaves us when we leave him at home. 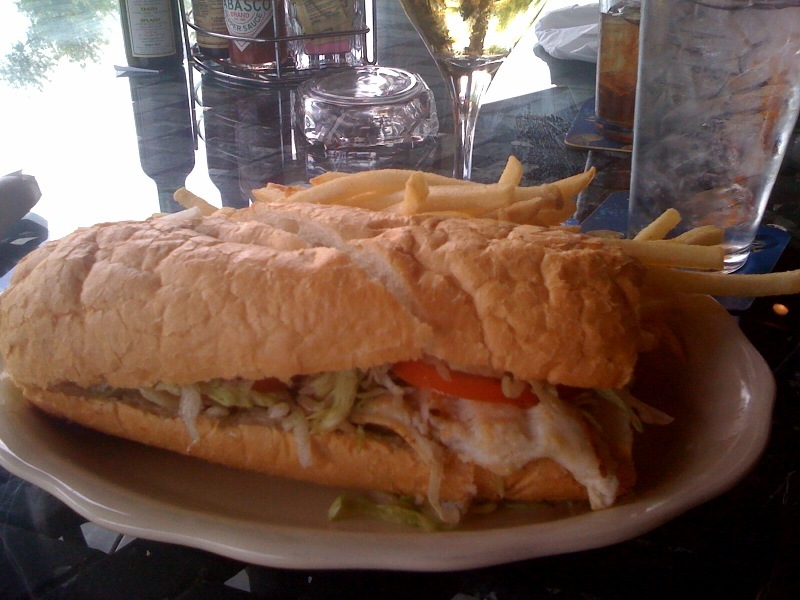 Parrain's is owned by the same folks that own The Chimes Restaurant in Baton Rouge. 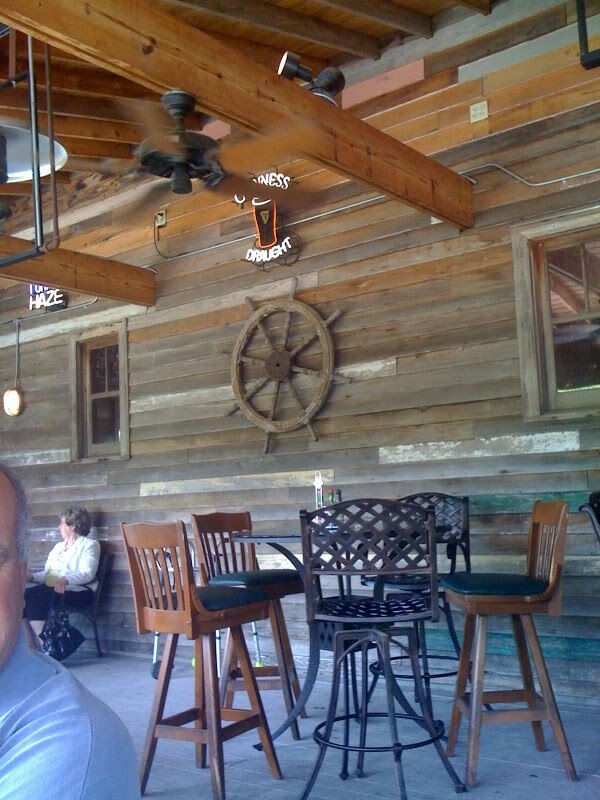 They pride themselves in serving only Gulf Coast seafood. They also serve chicken and beef, but most go there for the seafood. My favorite thing about Parrain's is that each weekday two lunch specials are offered Both include a salad and bread and you can eat lunch there for around $10. They lunch crowd is huge and working folks can expect to eat and pay the check in under an hour. When I worked at Louisiana Public Broadcasting, I spent many lunch hours there. We ordered a salad and a poboy for our celebratory meal. Earth Day is a special occasion after all. 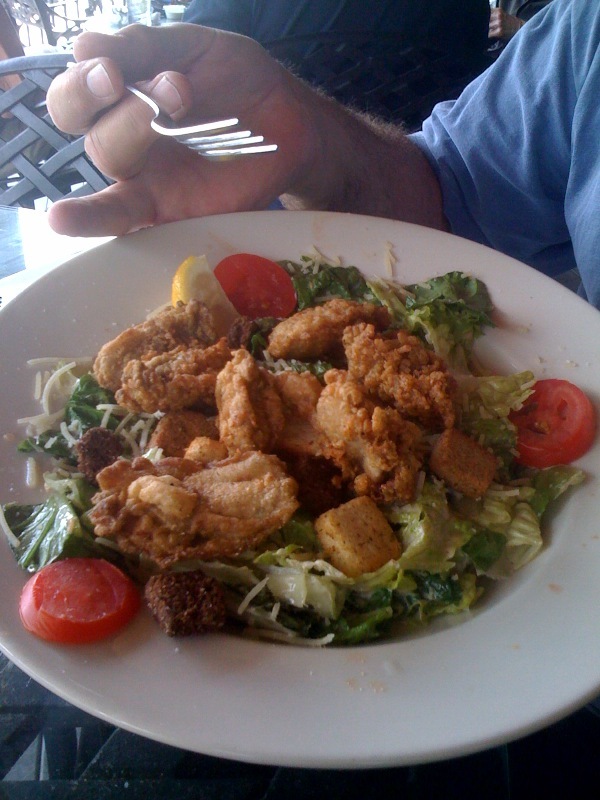 John had a Caesar Salad topped with the biggest fried oysters I have seen in a while. 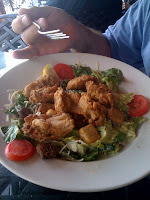 Oysters are tricky, and there is an adage that one should eat them only in months of the year that have an "r" in them. If you consider the spelling of the months of the year you will see that the ones without an "r" have hot weather. The thinking is that oysters spoil easily in hot weather. With modern refrigeration, this is probably not necessary, but old habits are hard to break. April oysters are fine! As we were enjoying our meal, we noted that there were several groups of retired people who were also enjoying the patio. It was a rather late lunch and I think sitting on the patio of an April afternoon is a perfectly lovely way to enjoy living. Later in the day, while pondering how good life is, I commented that I was a very lucky and happy person in retirement. My husband commented: "It's like Christmas everyday!" Indeed. I try to keep some bags in the back seat of my car at all times. I even have some that fold into my purse. It's one green thing that's easy to do. Thanks for reading!